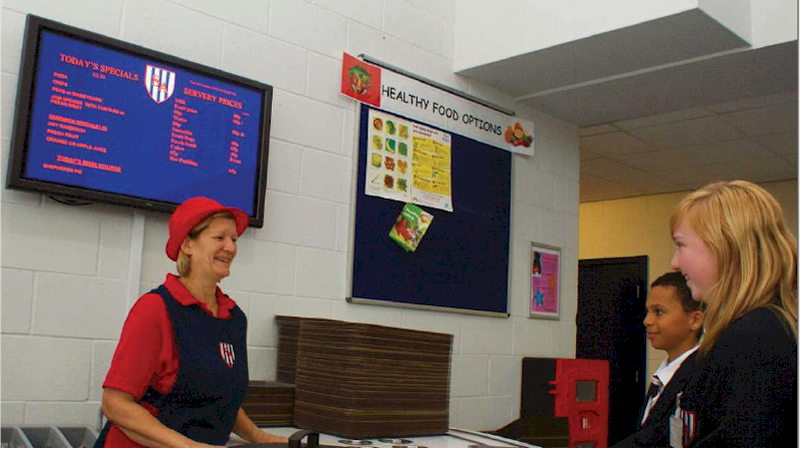 "We found Repeat Signage a useful tool which aids the smooth flow of customers through the restaurant"
Sandwell Academy, located in Sandwell, currently has a student body of 1,200 students aged 11-18 years of age, with a restaurant that can hold 200 people at a time. The Academy has rolling breakfast and lunch in the morning and afternoon over the course of two hours. 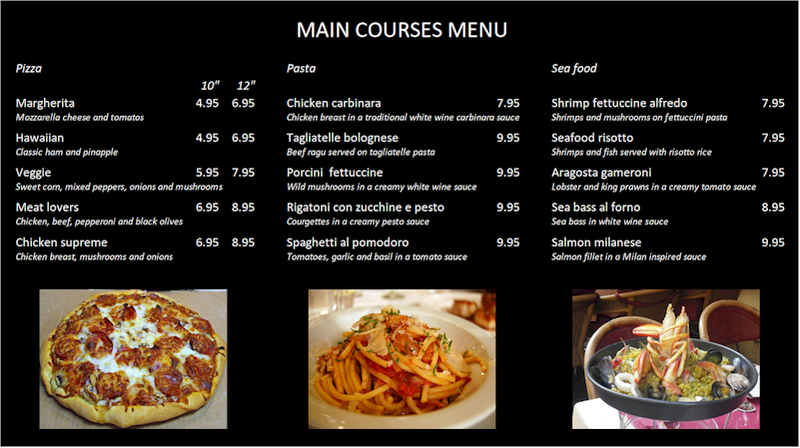 The lunch menu alternates each week on a three-week basis; with different specials each day, so effectively there are fifteen lunch menus. "Utilizing an old PC, we connected a 42-inch NEC display as the PC's monitor and ran Repeat Signage software. We have four signage files; one for breakfast and three for different weeks. The breakfast and lunch menus both contain two panels that link to external .RTF (real text format) files; with the lunch menus automatically set to show a certain RTF on a certain day." "We've found Repeat Signage to be a useful tool which aids the smooth flow of customers through the restaurant. We are currently planning on how to utilize digital signage for other areas within the Academy". Repeat Signage is flexible and easy-to-use digital signage software that allows you to display pictures, logo, text, videos, RSS feeds and other media to showcase your school or academy's activities. Sandwell Academy has been using Repeat Signage since 2012 and since that time new features have been added including a PowerPoint scheduler and the ability to display Word documents, PDF's, spreadsheets. When used on an interactive display, the page-turning PDF feature is ideal for showcasing the academy's brochures, whilst the PowerPoint scheduler allows PowerPoint presentations to be displayed within the digital signage presentation. You can download an evaluation of Repeat Signage without giving your details.